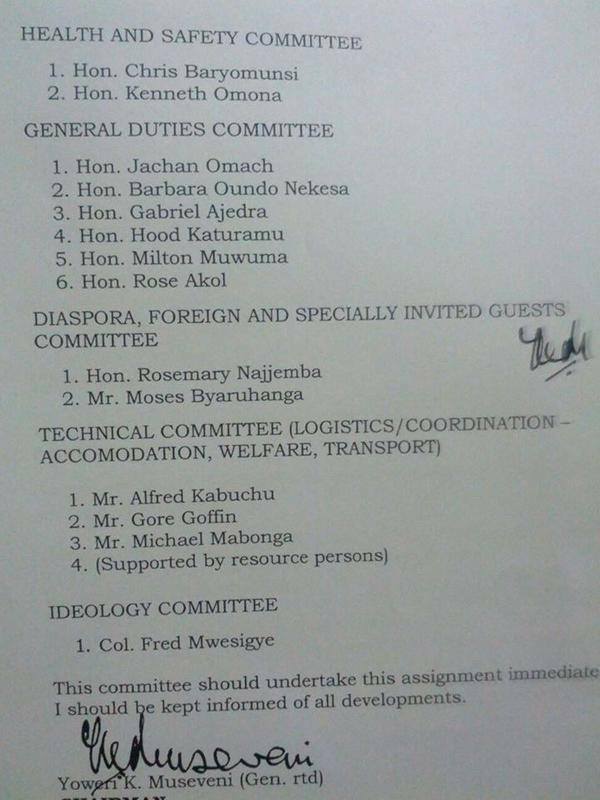 NRM are reorganizing – here are some of the new committee members. Some of this people are well recognized people by now. So I won’t comment on each of one these loyal subjects to the Mzee. 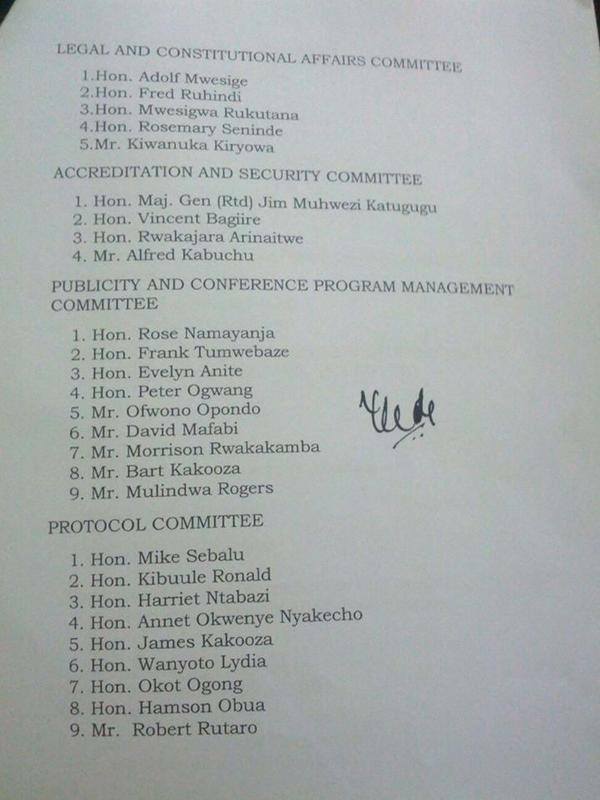 But we can see the wonderboy on the first page: which is Mr. Fred Mwesigye; Who will run the Ideology committee alone. I will not read you their long list of merits and how come they are picked. But we all know why this is happening now right? He is cleaning the camp of Mbabazi loyalist and Youth who wanted him to be the presidential candidate in 2016. It would make sense right? Because the Yellow force with one man who has a vision and a mustard seed. We can only see that this is the way to go and how it will be. It isn’t the first clean-up in his long long reign. Last time was with Mr. Mahogony aka Gilbert Bukenya and his fall from grace. We can be sure that most of the men that has been made by the president will fall on their sword, if they don’t show loyalty to the resistance and revolutionary thinking of the Mzee. Nothing else will matter. We’ll see how long Fred Mwesigye will lead and sow the mustard seed. We can see and then offer our thoughts to all the other appointments, but they are not as juicy. Still we all can understand the way and read between the lines of why this is happening right now. Peace.